As games go, they do not come with much higher stakes than this one. 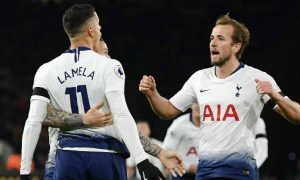 Tottenham host Arsenal on Saturday in the early kick-off as the two London clubs renew their old and bitter rivalry. One of them simply must come out on top in this one, with a Champions League place in jeopardy. What is at stake for Spurs? This has become more than just a game for both sides, but for Tottenham, it is about finally shunning that inferiority complex that they have had forced upon them by Arsenal for years. Tottenham were always left looking on at the success of their great rivals with their time seems to be so far away in the distance. However, things have changed recently and they are battling back. Last season, they finished second, breaking a long and proud record Arsenal had of finishing above their rivals, and for many, this seemed to herald a defining season for Tottenham, with the side now surely just a step away from winning the league. 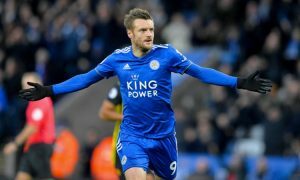 Manchester City have blown every other side out of the water this year meaning that a Premier League triumph was always going to be unlikely, but what will be particularly worrying for Spurs is the fact they are currently trailing Manchester United, Chelsea and Liverpool, with their place in the Champions League at risk. While many will say that if they can clinch a Champions League spot then it will be a successful season which is true, it is undeniable that this is also a step backwards for the side. Therefore, this is a chance for Tottenham to reassert themselves. If Arsenal go to Wembley and blow their hosts away then it will be a confirmation that Arsene Wenger’s team are still the dominant part of this relationship. However, if they can defeat Arsenal then it will solidify both a physical and metaphorical dominance over their old rivals. Harry Kane will once again be the key man for Spurs in the game. His outstanding goal record is huge to his team, but what is most important is his ability to lift the side, either with a moment of magic, a bustling run or a perfectly-placed finish. 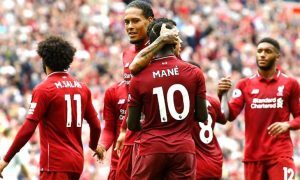 Against Liverpool Kane won a penalty and, despite the fact he saw it saved, he dusted himself off when his team needed him and under monumental pressure, he slotted home his second spot-kick despite the fact Loris Karius would have had the mental advantage. Every season it is the same story for Arsenal. The beginning of the campaign is one of intense expectation, but this is slowly but surely dashed until the point where a fourth-placed finish is seen as a success. This season is no different. Arsenal are currently in sixth-place with 45 points, five short of Chelsea in fourth. Manchester City are currently 24 points short of leaders Manchester City meaning that they closer to Huddersfield in 19th. For Arsenal then, this is a must-win game. The gap between the two currently stands at four points, and they are five points behind of Chelsea in fourth and the final Champions League spot. Last year was one that was largely derided by fans and critics alike, with the Gunners finishing outside of the Champions League spots. If they are to lose to Tottenham then this season will almost surely end without a place in Europe’s premier competition. While it would have been unthinkable to have missed out last year, to fail two years in a row would likely see mass change implemented. In the game itself, Mesut Ozil will be the main man. Against Everton, Henrikh Mkhitaryan and Pierre-Emerick Aubameyang shone on their debuts while Aaron Ramsey netted a hat-trick. However, the Gunners do not tick in the same way without the German on the top of his game with his vision, range of passing and general ability to create vital to their chances. Of course, the game itself is one that will be won and lost solely on the pitch. The two managers have a large pool of outstanding players to choose from and they will set up tactically in the way they think will win them the game, but after that, it is completely down to the men on the pitch. However, the impact of the game will not just be felt on the field. 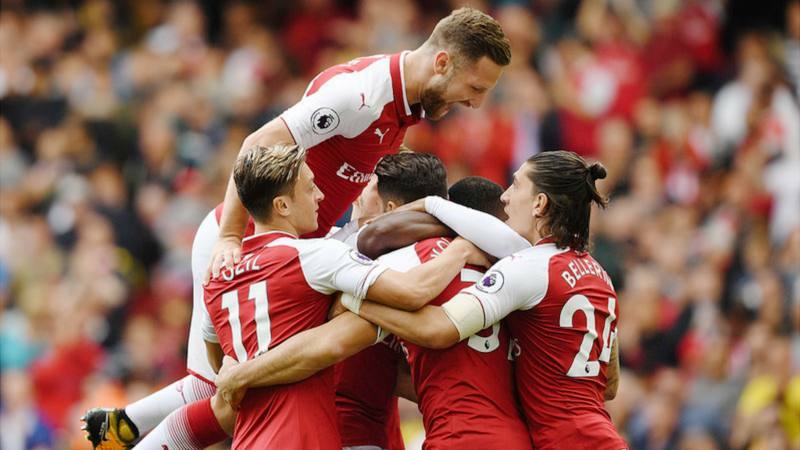 The three points will likely prove to be the difference between Arsenal clawing their way back into reckoning for the Champions League and falling away yet again, and Tottenham giving their arch-rivals a very painful punch that will surely see Wenger’s men fall further away from their target. It is not often that one game is so important to a team’s aspirations for the season, but both sides will be all too aware of how important a win is, with the three points on offer likely ones that will make or break their seasons.